Here's a link to a review of our book launch in Jan 2015. "By my bed I have a pile of books I dip into every now and then for a bit of inspiration. 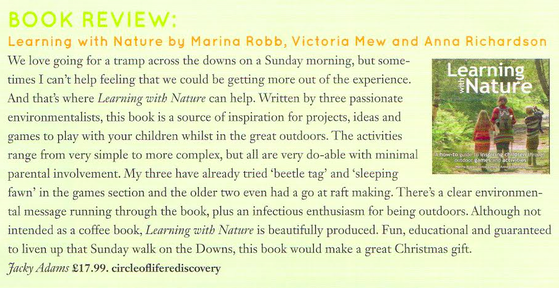 This book is now top of my pile; a must have resource for outdoor fun..."
" This book is aimed at encouraging children into the great outdoors, including gardens of any shape or size."